The following information is no longer current. To find out the latest information about the Main Road level crossing removal please click here. 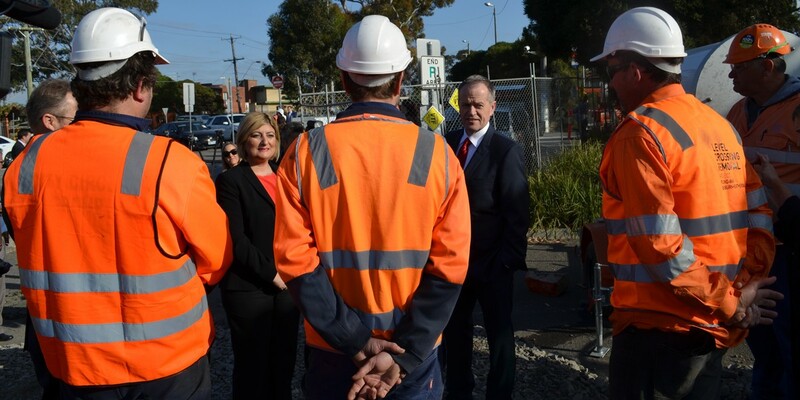 Work on the removal of the dangerous and congested level crossing at Main Road in St Albans has ramped up, with demolition of the existing station building and platform 2 now underway. 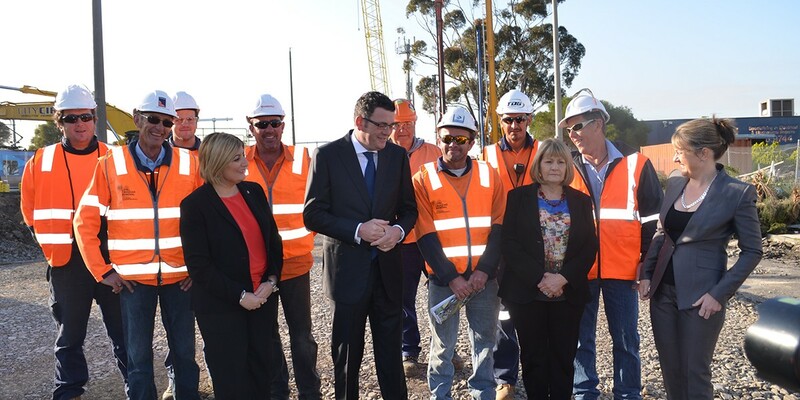 I was joined by Premier Daniel Andrews, Minister for Public Transport Jacinta Allan, Federal Member for Maribyrnong Bill Shorten to inspect works at the busy crossing. Main Road level crossing is used by 20,000 vehicles and 210 trains every day. Boom gates are down for up to 65 minutes between 7:00am and 9:00am – more than half the morning peak. The demolition of the station building and platform is the crucial first step in lowering the rail line below Main Road and rebuilding St Albans Station with access to platforms below street level. 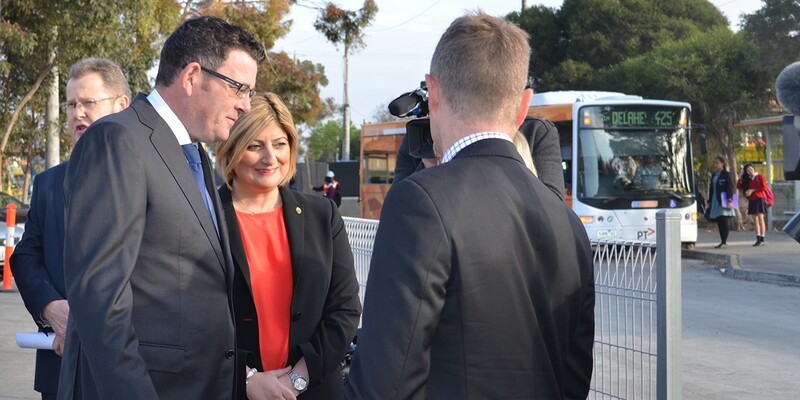 Removing this congested death trap will not only make St Albans safer, it will reduce local road congestion and allow us to run more trains, more often on the Sunbury line. For more information on the Level Crossing Removal Project or go to http://levelcrossings.vic.gov.au or call the hotline on 1800 762 667. 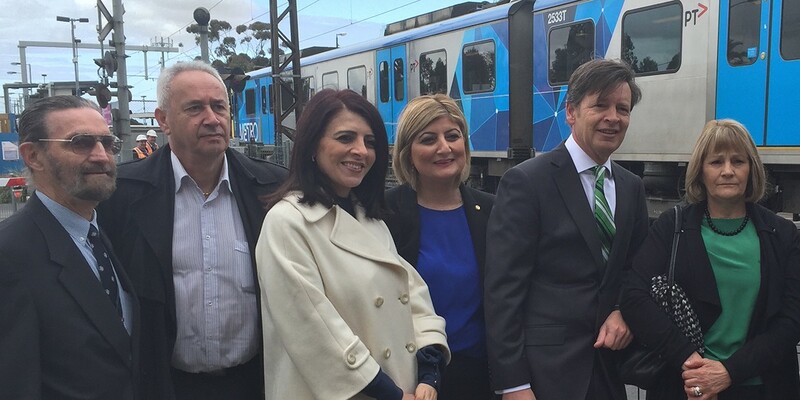 Click here to read more about the plans to remove the level crossings at Main Road and Furlong Road.